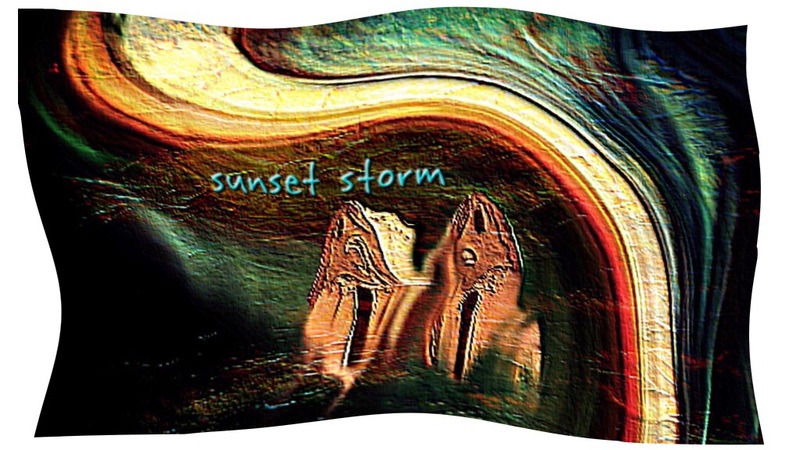 If you live through it, sunset storms stimulate every aspect of your life. You find yourself praying first that you will survive as the wind buffets your physical body with cold, warm and stinging winds. Emotions are peaked and intellect is sharpened as you see friends running here and there, but you are being penetrated by the forces and you feel sexually aroused. The adobe homes will loose a layer of clay back to the earth just as another tumultuous day shortens your life. The colors on the horizon of the storm, red, yellow, orange and blue sky above enliven the green of the hills nearby. God allows storms for a purpose….